Known for his relaxed, yet luxurious and sophisticated interiors, Boone's work has been widely published. 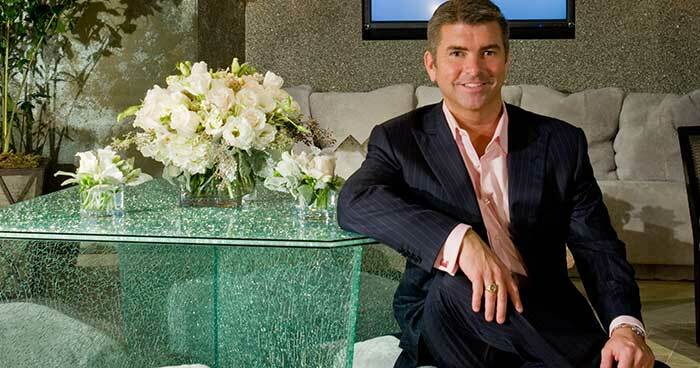 Celebrated for his highly personalized approach to design, clients enjoy the focused, hands-on dedication. His projects have varied from elegant Italianate estates, desert retreats, sprawling ranches, luxurious ski houses, cliff-hugging beach aeries to a million-plus square foot shopping mall. Boone's own residence was featured on the cover of Architectural Digest (Sept. '02). He is also honored to have been included in The AD100; the magazine's listing of the world's leading architects and designers for nearly 20 years. A graduate of Virginia Tech's interior design program, Boone has sponsored the university's residential design studio for over a decade; speaking to faculty and students annually and endowing a scholarship for his namesake design competition. He sits on the Industry Advisory Board for The School of Architecture + Design for Virginia Tech and remains an active member of The Institute of Classical Architecture. Explore the designs that define Mark Boone. Our portfolio collection will take you from the salt-spray shores of Big Sur, California to the towering mountains of Aspen, Colorado.